Glenlake Parkway welcomes guests with sweeping views of foliage and beautiful surrounding landscape. By connecting people with nature through creating paths & interventions that engage with living systems & natural processes, Glenlake Parkway itself is a professional oasis. Three Glenlake is a blank canvas of travertine to bring an inviting hospitality flare while reinvigorating the space with a sophisticated palette of warm neutrals and textures. A glimpse of color will connect the interiors to the foliage of the surrounding landscape and create a connection to natural elements. 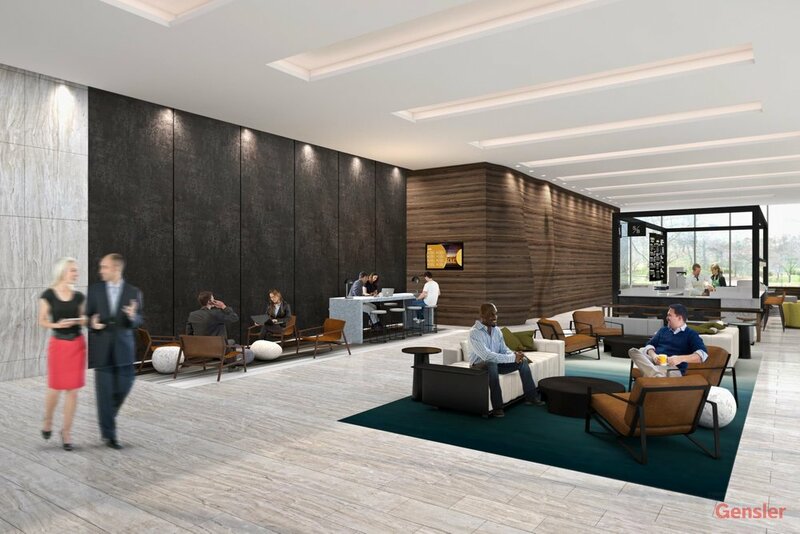 Like One Glenlake, the design will encourage collaboration and support a young, innovation-driven workplace dynamic that craves work/life balance.